Hamburgers might not be too healthy, but they taste good. A hamburger is a sandwich made up of one or two patties of cooked meat placed inside a sliced roll of bread. The term burger may apply to different kind of hamburgers around the world, like the bison burger, the turkey burger or the veggie burger. 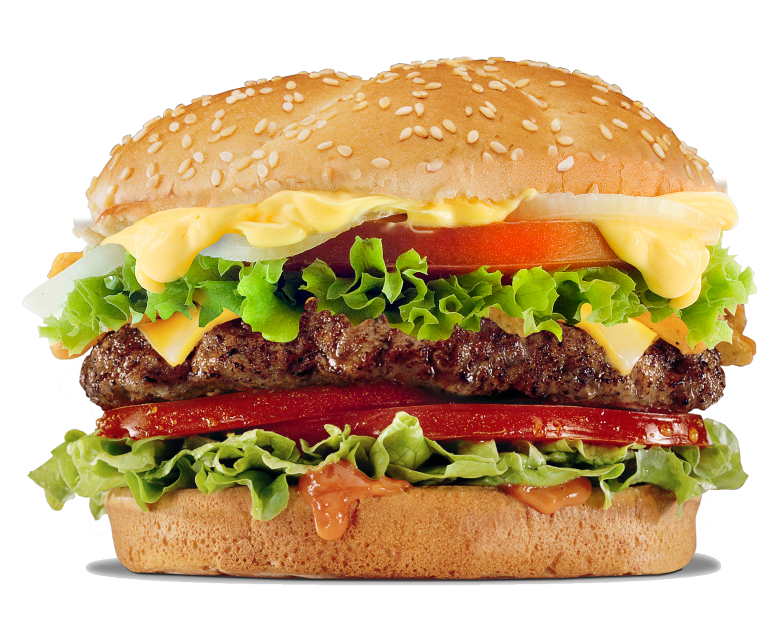 The hamburger is very famous and eaten worldwide, however the history regarding its origin remains unclear. There are many claims in different areas of America and european countries, but noone really knows where it was first invented. “The Art of Cookery made Plain and Easy” by Hannah Glasse (1758) actually refers to a “burger sausage” very similar to nowadays hamburger. In 1869 a similar snack was also popular in Hamburg, by the name of “bread roll warm” (Rundstück warm), made up of two pieces of bread and meat on the inside. In 1884 the Boston Journal discussed about the “Hambug Steak” and on July 5, 1896, the Chicago Daily Tribune made a reference regarding a “hamburger sandwich” in an article about a “Sandwich Car”. The truth might have been uncovered by Congresswoman Rosa DeLauro, who believes the famous hamburger was first created in America by Louis Lassen, a danish immigrant, who had a diner in New Haven, Connecticut. Even though we might never truly uncover the misteries regarding the origins of this marvelous and delocious food, the most important thing is that we’re still able to enjoy this fat delicacy filled with cheese, bacon and lettuce.